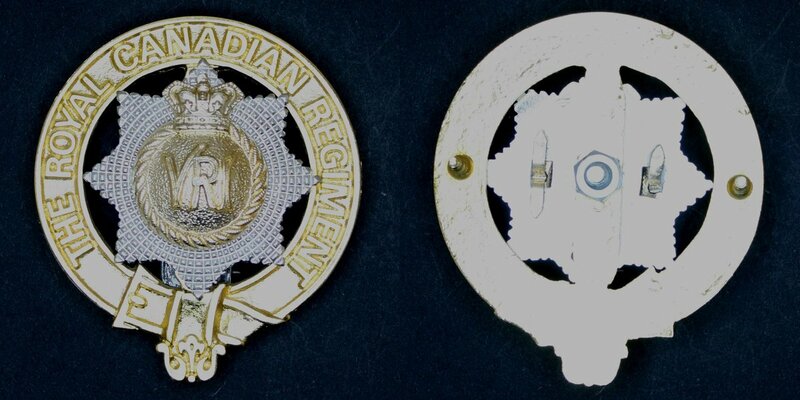 Pipers' badges for the Regiment consist of two principal parts, the cap badge itself and the circular back plate representing a belt with the name of the regiment cast into its surface. 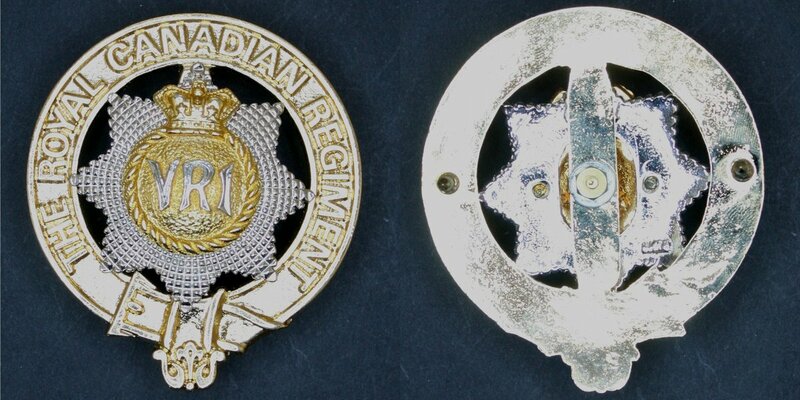 There are at least two versions of the circular back plate, an older brass version with finer lettering and details, and a newer anodized one with much coarser details. 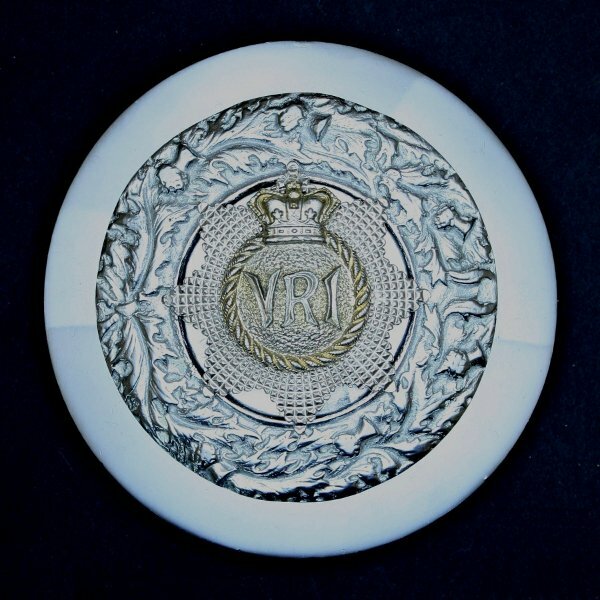 Beyond that, classifying pipers' badges get complicated. 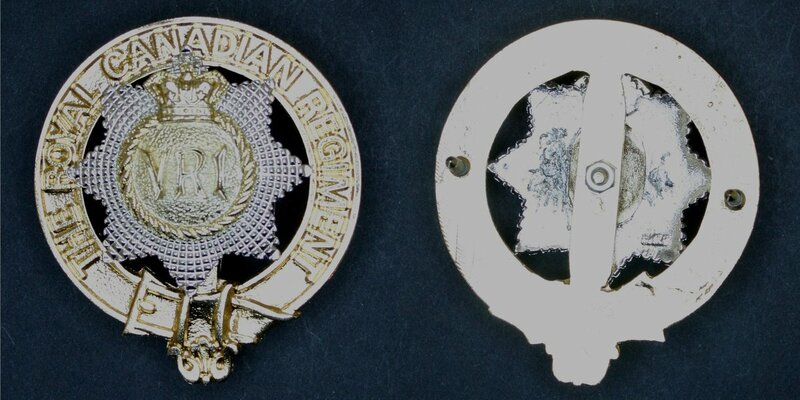 It appears that the pipers often changed the front badge to the current issued version of the regimental cap badge. You can find any of the badges produced in the last 35 years on either back piece, with the later back piece seeming to be more common. 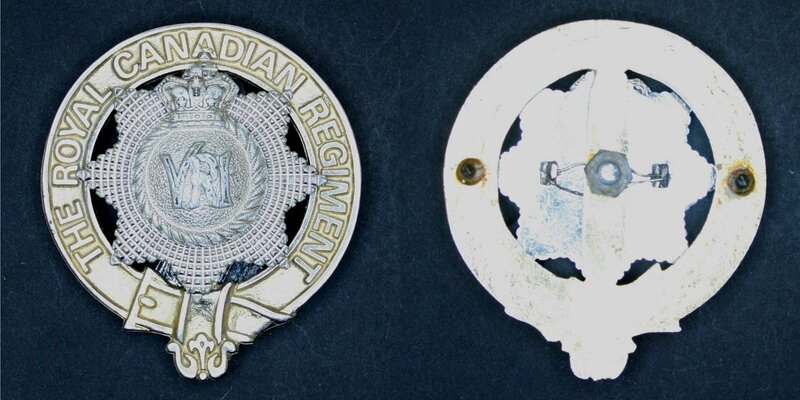 Badges used on these were the regular cap badge which was altered to mate with the back plate. 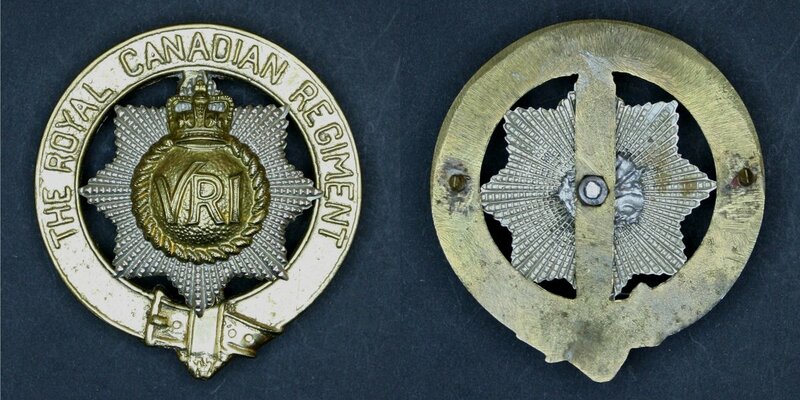 Some badges were modified with a centre threaded post for fastening to the back plate. As for exactly what constitutes an officially issued badge for pipers, that's open to interpretation. From a functional perspective, any combination that was worn was "official" if it passed muster by the Drum and Pipe Majors, and, of course, the Regimental Sergeant Major. 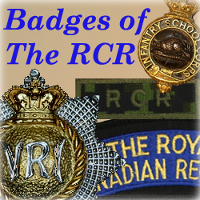 The RCR first had Pipe Bands in 1970, adopting them from the Black Watch and the Canadian Guards when the Regular Force battalions of those regiments were reduced to nil strength. 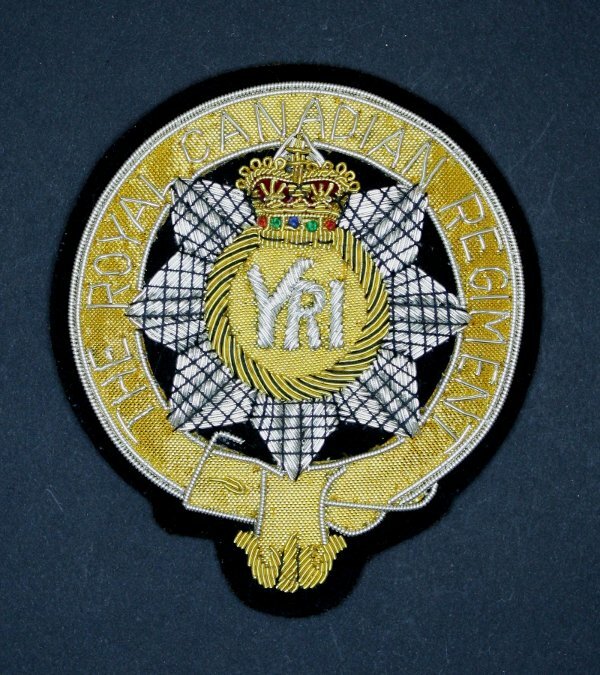 in the 2000s, the Pipe Band of the 2nd Battalion began wearing an embroidered Pipers' badge with their feather bonnets.